Easter is this weekend, and across Minnesota kids and families are busy dyeing eggs. 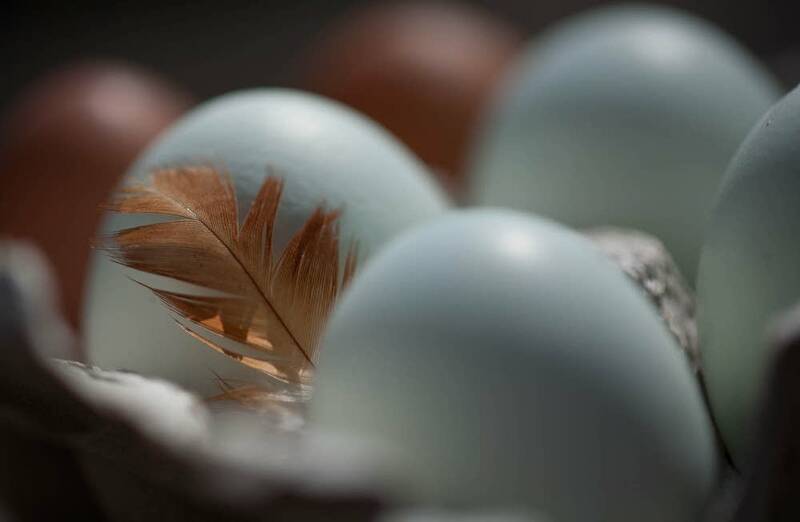 Most are dyeing good old traditional chicken eggs, but there are new eggs in town: quail eggs, duck eggs and even naturally green eggs. Dara Moskowitz Grumdahl, MPR News' regular food and dining correspondent and Minneapolis St. Paul Magazine's senior editor, talks about the new egg scene boiling away these days in Minnesota. Dara Moskowitz Grumdahl: This week, I bring you news both big and small. The big news: duck eggs. These have become popular over the last two or three years at Minnesota farmer's markets and co-ops, and they're a little bigger than ordinary chicken eggs. 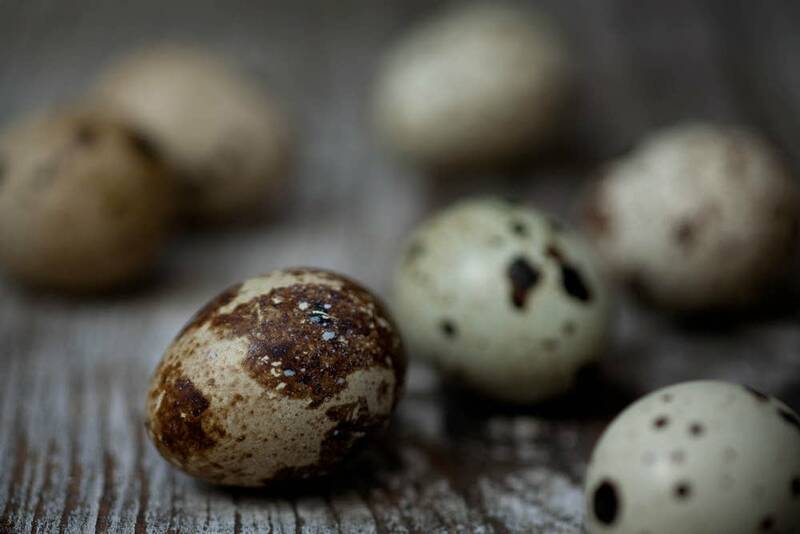 Now, the small news: quail eggs — they're tiny, about the size of a teaspoon. 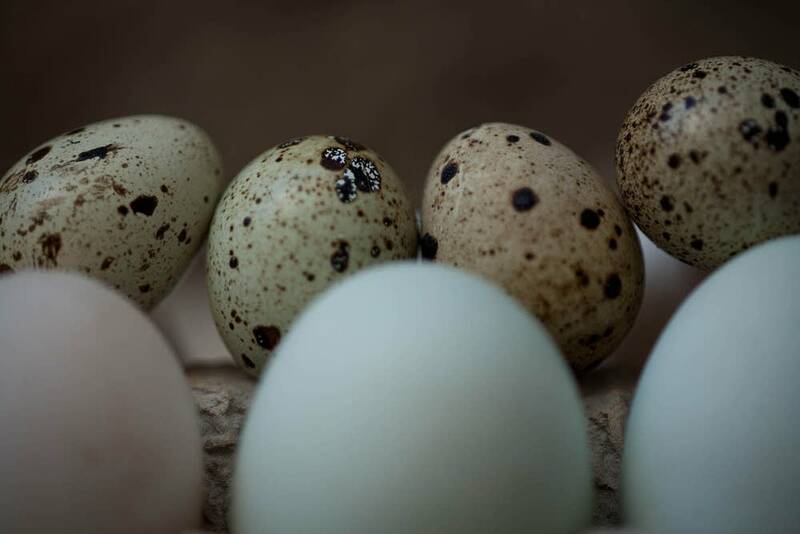 Tom Crann: These duck and quail eggs have become popular. With whom, and why? DMG: The duck eggs are big with bakers, who say they make the richest and most tender cakes. The quail eggs are mainstays of elite sushi bars. It's traditional to add a raw egg to something like raw, minced tuna, for extra richness, but they're also big at white tablecloth restaurants where chefs poach them for salads, or serve them with rare beef. Both are increasingly popular with "locavores," who like them because they're something new to cook with and they're delicious. Tom Crann: If they're popular with sushi chefs, are they flown in from Japan? DMG: No, they're utterly local. The quail eggs in local supermarkets almost all come from a single farm in Owatonna, Johnson Quail. Roger Johnson started raising quail about 17 years ago for zoos and the Raptor Center — evidently falcons, owls, and eagles really like quail — and the business took off. The duck eggs in supermarkets in the Twin Cities almost all come from one farm not too far from Hudson, Wis. It's called Living the Dream, it's run by a young couple who have about 300 laying ducks. 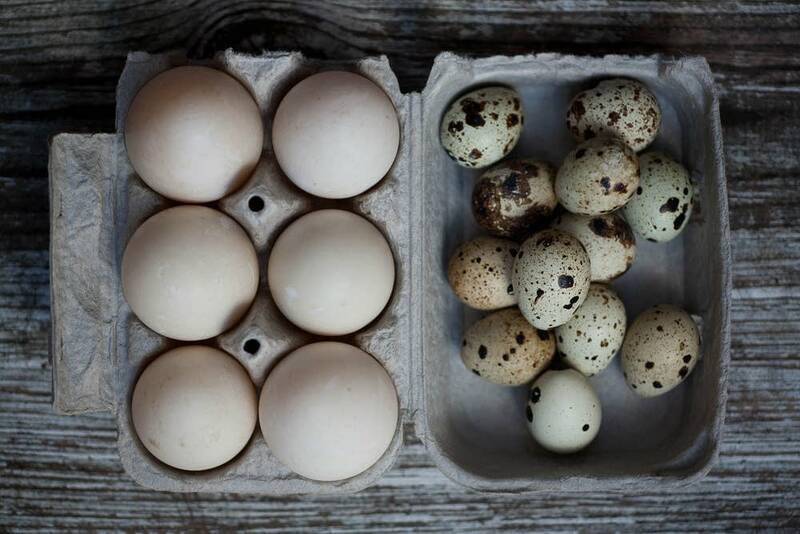 Tom Crann: What are the differences between quail and duck eggs, and good old chicken eggs? DMG: I'm glad you asked. I brought in a couple for you to taste, just hard-boiled. The duck eggs have an orange yolk and they're incredibly rich, almost like a custard, right out of the shell. The quail eggs taste a lot like chicken eggs, but much cuter. Tom Crann: All right, let's try them. DMG: Aren't those quail eggs cute? They're even cute in the shell, the quail eggs are speckled and brown, when you peel them you find the inside of the shell has a blue tint, like a robin's egg. And speaking of blue, there's another sort of egg you'll find in local farmer's markets: a naturally blue or green chicken egg. They're from a heritage breed called Araucana, and a lot of farmers and chicken hobbyists raise them. They taste a little richer than standard chicken eggs, but the big selling point is the color. They're just fun. I went to three co-ops this morning looking for them but struck out. I think people have snapped them all up for Easter. Tom Crann: Or maybe they've been snapped up by fans of the Dr. Seuss book "Green Eggs and Ham." DMG: Will you eat them on a plane, will you eat them on a train? If you will, you could have a very memorable Easter basket. 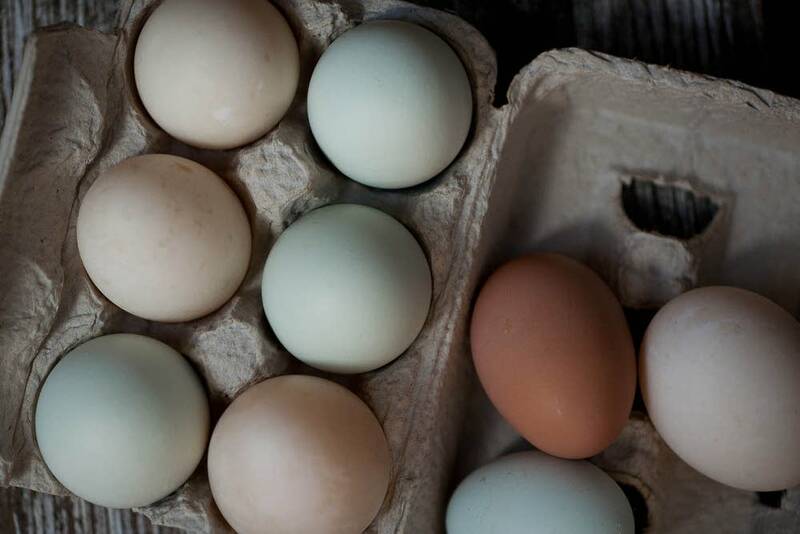 To purchase duck eggs: Try the Seward Co-op, Mississippi Market, or Heartland Farm Direct Market, or join the duck egg CSA offered by Living the Dream Farm. For Johnson Quail eggs, visit Burnsville's Valley Natural Foods, the Seward Co-op, or Mississippi Market.